Chrystal has been operating her boutique for over two years now. After achieving nearly $50,000 in her 1st year of business, Chrystal tweaked her marketing strategy and has sold over $75,000 in merchandise for the fiscal year 2015. She has scaled back her boutique operations to teach other women (and men) how to efficiently operate their own e-boutiques. 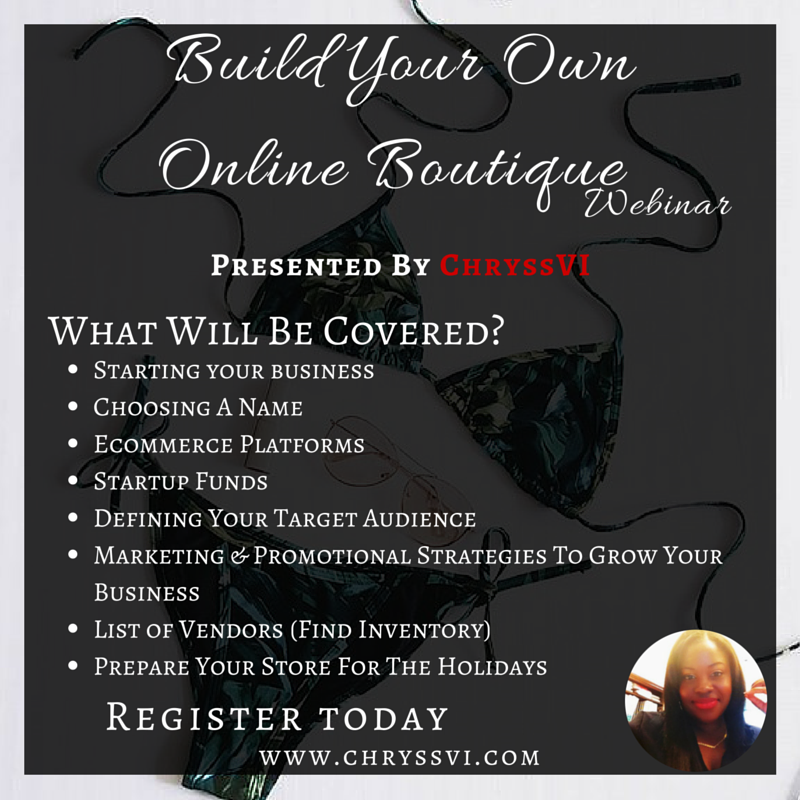 Opportunity to schedule a 30 minute Skype, Oovoo, or Google+ Hangout session where you can ask Chrystal ANYTHING and dig deeper into your business plan and goals. Ready to create your own e-boutique? Well, what are you waiting for? 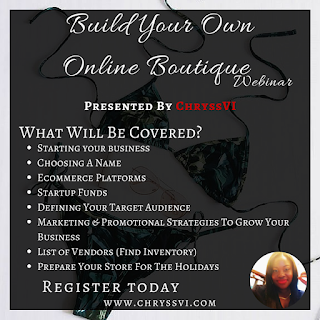 Register below now to secure your spot for my next Build Your Own Boutique master class! NEXT CLASS WILL BE HELD IN MARCH!